I fell in love with this city back in early 2011 when I visited for a week on one of my solo holidays. Ever since then I have wanted to return, even if it was just for a weekend – and last weekend I got my wish. But guess what, I’m now itching to get back there as soon as I can! I went to Barcelona last Friday with my brother. We had some compensation vouchers from British Airways for a pretty crappy flight to and from Dubai, so we thought we’d use them to do a city break somewhere. Both of us had been to Barcelona before and enjoyed it so we thought why not! The sights, smells, sounds, architecture, history and the general buzz of the place is like nowhere I have been before. This is what draws my to Barcelona. 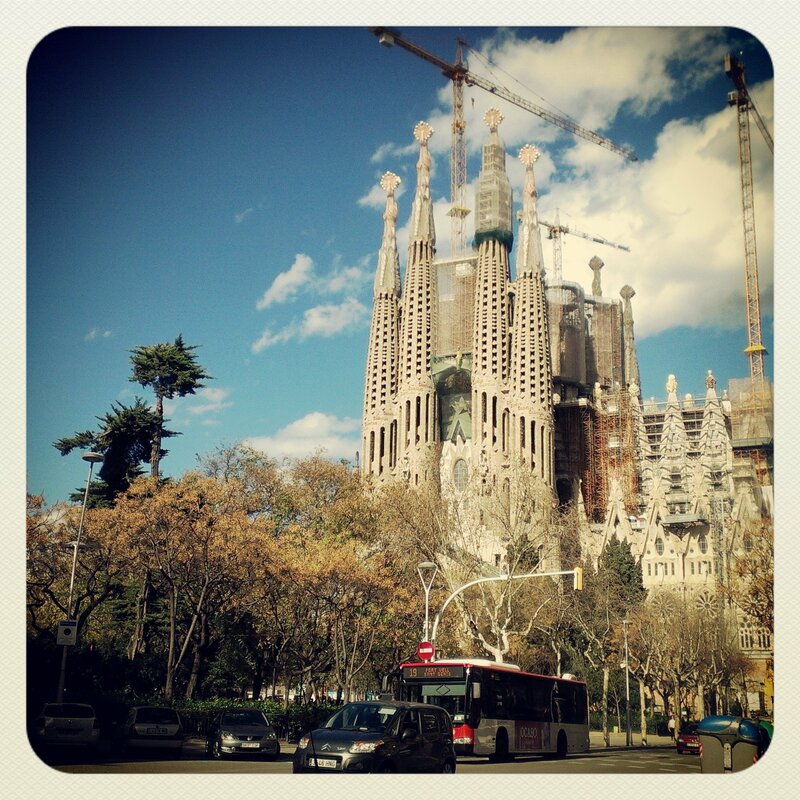 In the picture above is La Sagrada Familia, a large Roman Catholic church slap bang in the centre of the city. It was designed by the famous architect Antoni Gaudi and has yet to be completed. I read somewhere the approximate completion date is around 2026, and if I’m still around (one would hope!) I’d quite like to be there for that momentous occasion. I’m not a religious person, however, I reckon there will be one heck of a celebration! While my bro had a very expensive sleep in (he works nights here in the UK) I decided to plug into my music and walk around the city. I explored the back streets of the Gothic area, had a cerveza or two in some of the many squares, dropped in to a few of the stylish shops around Plaza Catalunya, called in at two of Gaudi’s famous houses – Casa Batlló and La Padrera. I even walked all the way to Parc Guell! To do all of this took me the best part of Saturday and Sunday, there’s too much to do all in one day! On Sunday I dragged Paul around with me to expose him to some culture!! The night life was Paul’s department. We went out to the Porto Olimpic for a couple of the evenings. The food was nice down there and the drinks weren’t too much of a rip off, however, if you can imagine digging up a few British venues from around the UK and then dumping them in Porto Olimpic (with the usual clientèle still inside them) then that’s what it was like! Home from home, night life style. Now when I go out in interesting areas I quite like to mingle in with the locals, especially when I’m with company, but I knew this suited Paul right down to the ground, so I didn’t mind. That was, until we got to the Shoko club – it wasn’t me at all! Expensive, watered down alcohol with half naked ladies dancing on podiums! The music wasn’t my cup of tea either! I’d had a few so I stayed a while. On the final day of our short trip we had a few hours to kill before our flight home. We decided to have a go on the cable cars to see the city from above (almost £15 for a very short trip – don’t waste your money if your thinking of going!). We then wanted to have paella and a bit of tapas before we left, so we went in search of a nice restaurant for lunch. We ate on Las Ramblas which was nice and had the biggest, and most delicious lunch I’ve had in a while, plus a massive glass of Estrella, a Barcelona beer. After lunch we visited the market, which was just off Las Ramblas. 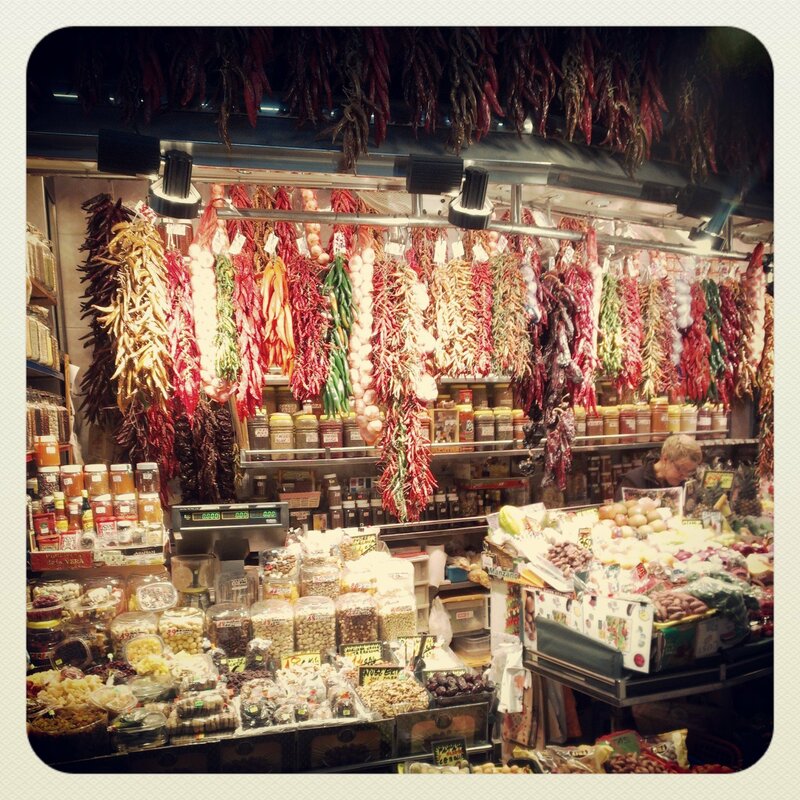 This was an exciting and lively place to go, you can see a picture of a little shop above selling herbs and spices. As I said before, I’d love to go back to this amazing city. I kept saying to my brother I’d love to experience living there one day, you never know! One can dream! Have you ever been to Barcelona? What did you think? How about other places you have visited? I’d love to read your comments! This entry was posted in Travel and tagged Antoni Gaudí, Barcelona, British Airways, Casa Batlló, Catalonia, Catholic Church, city, city break, Dubai, flights, gothic, holiday, La Rambla Barcelona, La Sagrada Familia, Park Güell, review, reviews, Roman Catholic, Sagrada Família, Spain, spring, summer, sun, sunny, travel, vacation. Bookmark the permalink. ← This year’s travel plans – so exciting!